As of today, Steam will no longer support Bitcoin as a payment method on our platform due to high fees and volatility in the value of Bitcoin. In the past few months we've seen an increase in the volatility in the value of Bitcoin and a significant increase in the fees to process transactions on the Bitcoin network. For example, transaction fees that are charged to the customer by the Bitcoin network have skyrocketed this year, topping out at close to $20 a transaction last week (compared to roughly $0.20 when we initially enabled Bitcoin). Unfortunately, Valve has no control over the amount of the fee. These fees result in unreasonably high costs for purchasing games when paying with Bitcoin. The high transaction fees cause even greater problems when the value of Bitcoin itself drops dramatically. Historically, the value of Bitcoin has been volatile, but the degree of volatility has become extreme in the last few months, losing as much as 25% in value over a period of days. This creates a problem for customers trying to purchase games with Bitcoin. 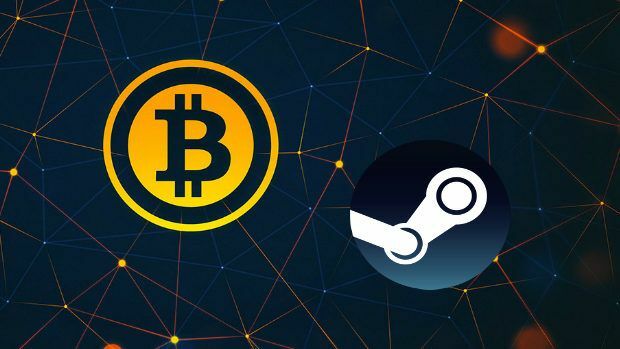 When checking out on Steam, a customer will transfer x amount of Bitcoin for the cost of the game, plus y amount of Bitcoin to cover the transaction fee charged by the Bitcoin network. The value of Bitcoin is only guaranteed for a certain period of time so if the transaction doesn’t complete within that window of time, then the amount of Bitcoin needed to cover the transaction can change. The amount it can change has been increasing recently to a point where it can be significantly different.